We have concentrated and brought together a wide range of top quality and bargain products. No matter the size of celebration, personal or corporate, simple or themed, we offer a wide variety of products to choose from. Whatever type of party you are having we have all of the party supplies you need. Our party supplies range from christenings to 60th birthday. Get your seasonal party decorated with our party supplies and decorations including Christmas and Halloween. 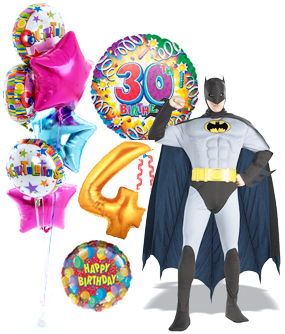 Celebrate that special party with one of our helium filled party balloons. We have party balloons for every occasion, weddings, birthdays, christenings and many more.